For winemaker John Hughes, the Kicking Goals scholarship is the realisation of a dream to support students with a disability by providing funding and support to assist them in their transition from school into the workplace or further studies. The scholarship was born from John’s own experience of applying for over 140 jobs, going to interviews and not going further. He was able to secure unpaid work experience which eventually lead to a 10-year career at the Australian Wine Research Institute before he left to establish his award-winning Rieslingfreak label. The scholarship is open to students in Year 11 who have a disability and reside in the Barossa region. It provides financial assistance ($500 per year) for years 11 and 12. The recipient also receives ongoing mentoring from John. At the end of Year 12, an additional $3500 is available to fund further education, educational aids or transport. “Foundation Barossa is proud to offer the Kicking Goals scholarship and is grateful for the ongoing support of John Hughes and the other businesses and individuals involved to ensure this valuable initiative can continue. 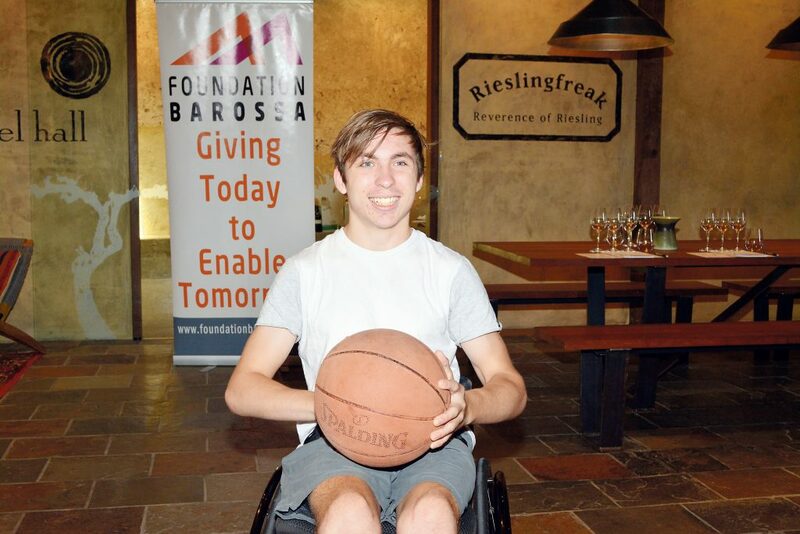 Supporting disabled youth in the Barossa to achieve their educational and employment goals is just another way the foundation is able to fulfil its mission of giving today to enable tomorrow,” said Nick Slape, Chair of Foundation Barossa. Previous recipients Brodie Healy and Joshua Grace have already benefited from the scholarship with John playing an active role in supporting both to identify future education goals and career pathways. Applications must be submitted via the Foundation Barossa website and must be received by Thursday 28 February.